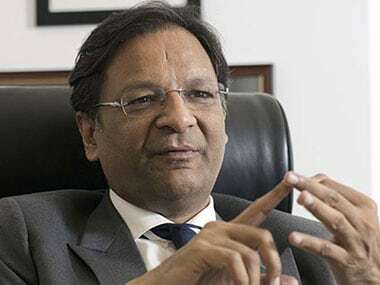 New Delhi: The domestic airline industry is in "great stress" as it is grappling with high fuel prices and fall in rupee, SpiceJet chief Ajay Singh said on Monday as he indicated that fares could go up in the coming months. His comments come against the backdrop of high crude oil prices hurting the airline industry as Aviation Turbine Fuel (ATF) alone accounts for over 40 per cent of a carrier's operational costs. "Airlines across the world are suffering from high oil prices and in India, we compound the problem with significant taxes as well. "The depreciation of rupee has been a big issue... many of our costs are denominated in dollars. Of course, there is great stress in the sector," Singh said. 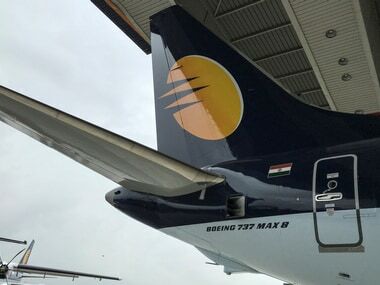 Despite the fact that India is the fastest growing aviation market in the world, it has been very tough to pass on the sudden increase in costs because things happened together -- the increase in oil prices and depreciation of rupee, he noted. File image of SpiceJet CEO Ajay Singh. Courtesy: News18. On why airlines are not able to increase fares, the SpiceJet chairman and managing director said it has all happened at a time when the season is a little weak. "This is the seasonal fluctuation where as you know July, August, September is the weakest. Travel demand is little depressed at this time," he added. Currently, Singh said that there needs to be at least "10-15 percent increase in yields to cover existing costs". He also said that in the coming months, the airline would make efforts to increase the yield. Generally, yield refers to average fare paid per passenger. "As travel demand becomes stronger, airlines will try to pass on certain cost increases they are incurring today. It is tougher to do in a season where demand is weak," he noted. About delivery schedule of Boeing aircraft, he said the deliveries are pretty much on time. "When you do aircraft production, you cannot have a firm date for a first aircraft. They have told us end August, beginning September. The aircraft is ready for delivery and we will soon take delivery in September," Singh said. His response to a query about the airline looking to take delivery of Boeing 737 MAX aircraft. Last year, the budget carrier placed an order for 205 Boeing 737 MAX aircraft. Currently, the airline has a fleet of 36 Boeing 737NG and 22 Bombardier Q400 planes.